Since: 2016 in General Election. She succeeded Labor’s Anna Burke, who retired at the 2016 election after holding the seat since 1998. 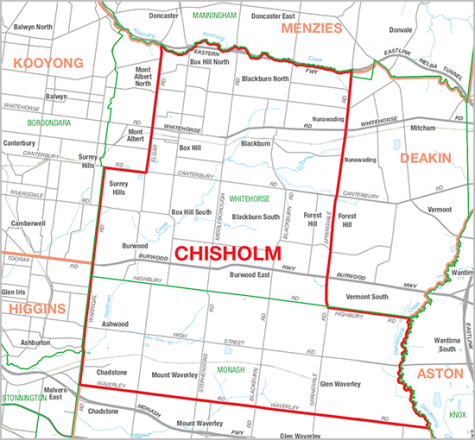 Redistribution details: Chisholm lost Labor-voting suburbs to the south, such as Oakleigh East, when the boundary was redrawn along Waverley Road. It gained Liberal-voting suburbs, such as Glen Waverley, to the east. Sitting member Julia Banks was the only Liberal in the 2016 election to win a seat off Labor, but her controversial departure from the party has opened up the field. 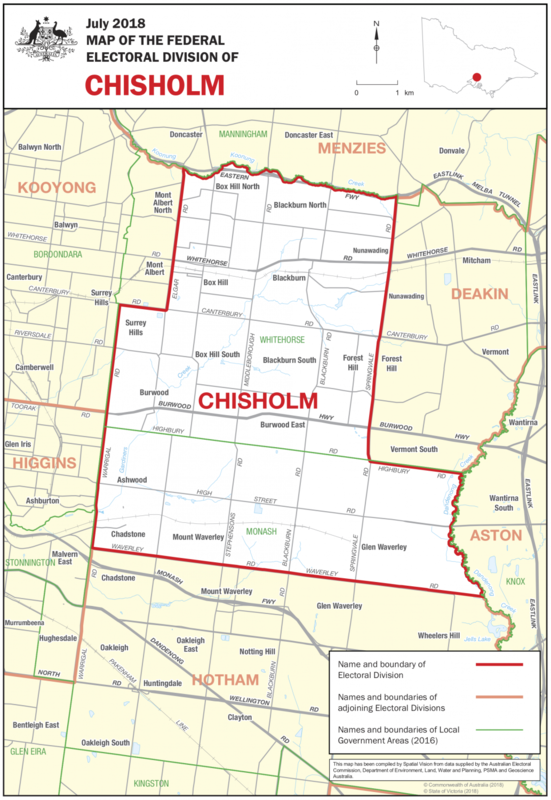 Both candidates for the major parties are women with Asian backgrounds – almost 20% of Chisholm residents have Chinese ancestry.